Public holidays are a big deal in America. There are less vacation days, so when everyone has the day off for something like Labour day, it’s a big occasion. 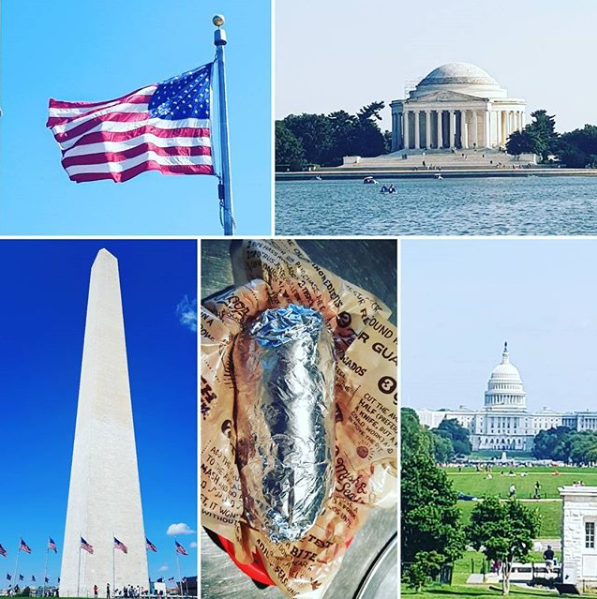 Last time I was in Washington DC, I was there for July 4th – Independence Day – so I was quite excited to the city in a state of celebration once again. 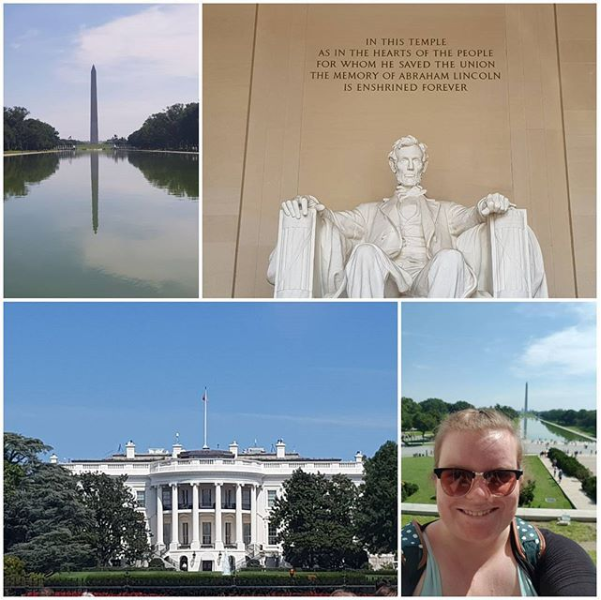 The weather was glorious again, and to celebrate, we decided we were going to try and take in some of the monuments and the White House over the course of the day. We walked a lot between the Zoo and Georgetown on Day 2 and expected the same, so we went armed with books and snacks, ready to take in some great views and chill out at some great reading spots, as well as taking in some history, politics and culture along the way. Our first stop wasn’t in the main Mall, but was near our hotel. We got the metro to Arlington Cemetery station and walked a little through the cemetery itself, before wandering across the Arlington Memorial bridge. It was the quickest way to get across the Lincoln memorial, the bridge literally connected the cemetery to the traffic island behind the memorial, so it was the perfect way to see as much as possible, and to get some good pictures whilst getting to our final location. Once there, we did all of the good tourist stuff. We took lots of great pictures from the outside and had a look at some of the signs and protests that were going on in opposition to Trump’s presidency. Once we had exhausted those photo opportunities, we went inside the memorial itself to get a picture of the main man. It was cool and shaded, and it was full of people admiring the memorial and taking pictures. We tried to be respectful per the signs and didn’t mull too long before leaving and sitting behind the memorial itself to take a short break. The back of the memorial faces the cemetery and the bridge we had walked over earlier and allowed us (me) to watch planes taking off and landing at Reagan airport while sitting in the shade and cool. The reflection pool that sits in front of the Lincoln memorial is perfectly placed to reflect the whole of the Washington memorial obelisk within the pool. It looks incredible, and again is a must take photo, so we spent a little time there before making our way to the Vietnam War memorial. The main memorials in the Mall are made from white stone, so the black memorial stands out in a sea of pale tributes and make this memorial that much more poignant. We didn’t dwell to long there, but were able to see that there were options to find loved ones names, and helpers there to assist you find any names you may be looking for. By the time we left the Vietnam memorial, lunch time and rumbling stomachs were calling, so we managed to locate an open Pret A Manger on Google Maps. Handily, the route took us behind the White House, so we were able to have a good look and take some pictures. There was a notable difference in security between this visit with Trump as president, and my last visit when Obama was in office (We couldn’t get nearly as close as last time). Pret was a delight as always, and I think it made Emma realise she was going to be using it a lot more no matter where we were. It was still affordable in the US, with great good, and the bonus – it served great, reasonably priced Cold Brew coffee, something we were very pleased to buy once we had sat down out of the sun and the heat. Once fed and caffeine-d, we did a bit of a loop of The White House and the surrounding buildings, before heading back in the general direction of the Washington Memorial. Restorative works meant we couldn’t go to the top of the monument, so we instead walked round it, took lots of pictures of the Senate building and the Lincoln memorial, before spying a spot in the shade close to the river where we could sit down and enjoy our books. 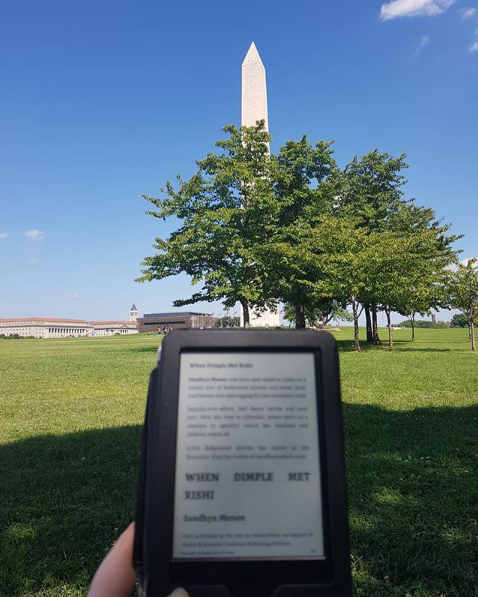 I’m not sure I’ve had many better reading views, and reading When Dimple Met Rishi in the shade, looking at the Washington and Jefferson memorials, light breeze blowing, with some snacks and drinks, was the perfect afternoon break from all the walking and sightseeing we had done. The final memorial on our stop was the Jefferson memorial. It was the only memorial I didn’t see last time, and because it’s so far away in comparison to the others, and we were worn out completely by this point, we settled for viewing it across the river, before walking back down the Potomac, across the Arlington Memorial bridge to the metro station that took us near our hotel. I’m not sure either of us wanted to get back up after collapsing in heaps on our beds in the hotel, but Rosslyn’s Chipotle was calling, so we set out for dinner before heading back for another night in front of the TV and Netflix.